The increase in police brutality in this country is a frightening reality. In the last decade alone the number of people murdered by police has reached 5,000. The number of soldiers killed since the inception of the Iraq war, 4489. What went wrong? 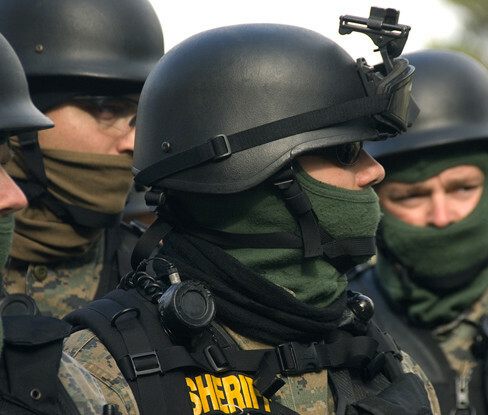 In the 1970’s SWAT teams were estimated to be used just a few hundred times per year, now we are looking at over 40,000 military style “knock and announce” police raids a year. The police presence in this country is being turned into a military with a clearly defined enemy, anyone who questions the establishment. If we look at the most recent numbers of non-military US citizens killed by terrorism worldwide, that number is 17. You have a better chance of being killed by a bee sting, or a home repair accident than you do a terrorist. And you are 29 times more likely to be murdered by a cop than a terrorist! A hard hitting mini film by film maker Charles Shaw, properly titled RELEASE US, highlights the riveting and horrid reality of America’s thin blue line. 500 innocent Americans are murdered by police every year (USDOJ). 5,000 since 9/11, equal to the number of US soldiers lost in Iraq. In 1994 the US Government passed a law authorizing the Pentagon to donate surplus Cold War era military equipment to local police departments. In the 20 years since, weaponry designed for use on a foreign battlefield, has been handed over for use on American streets…against American citizens. 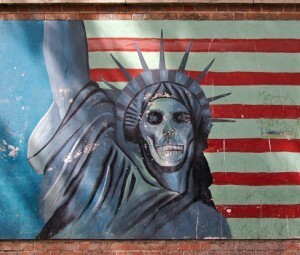 The “War on Drugs” and the “War on Terror” replaced the Cold War with billions in funding and dozens of laws geared towards this new “war” against its own citizens. This militarization of the police force has created what is being called an “epidemic of police brutality” sweeping the nation.